Steel carburizing is a process whereby carbon is diffused into the surface of steel (usually low-carbon steel) at high temperatures where austenite is present and the diffusion rate of carbon in steel is reasonably high. 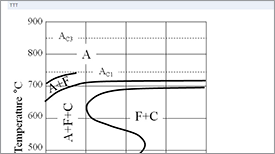 The depth and level of hardening achieved depends on a number of factors, including carburizing time at a given temperature and consideration that an increase in time decreases the activation energy for diffusion to occur exponentially. 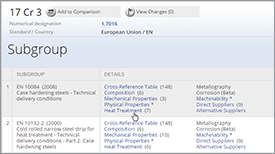 i) Chromium steels for smaller components when only low hardenability is required. ii) Manganese-chromium steels with medium hardenability for passenger vehicle components. 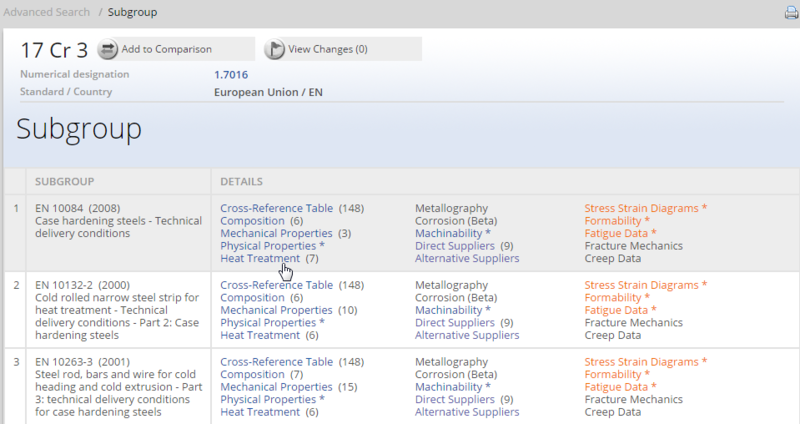 iii) Chromium-molybdenum steels with medium/high hardenability for passenger and commercial vehicle components. iv) Chromium-nickel-molybdenum steels with high hardenability for severely loaded machinery and commercial vehicle components. v) Nickel-chromium steels with high hardenability for components with extraordinary toughness requirements. 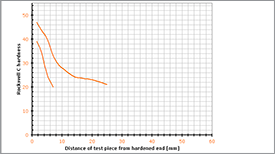 In the work of P.O.Atanda et al., the effect of carburizing variables on C2R steel used in machine tool operation for the manufacture of different machine tool components has been studied with the aim of improving both the production processes and the manufactured components used in machine tools operation. The components studied include gears of different shapes and contours, like the spiral, bevel, worm, taper, helical, etc. 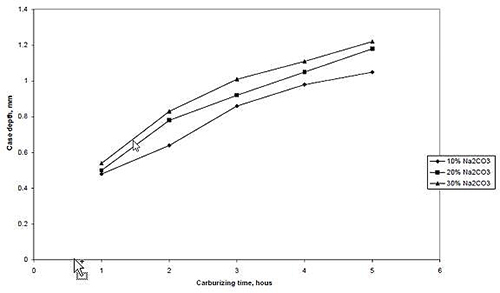 This study reports an investigation of the effect of carburizing variables – temperature, time and percentage of energizer –on the case properties of C2R steel obtained from HMT Ltd. India. A carburizer consisting of hardwood charcoal and coke respectively in the ratio of 2:1 was used for the research with sodium carbonate as the energizer. The carburizing box was filled with 20 mm thick carburizer compound prior to fixing the steel samples in place. 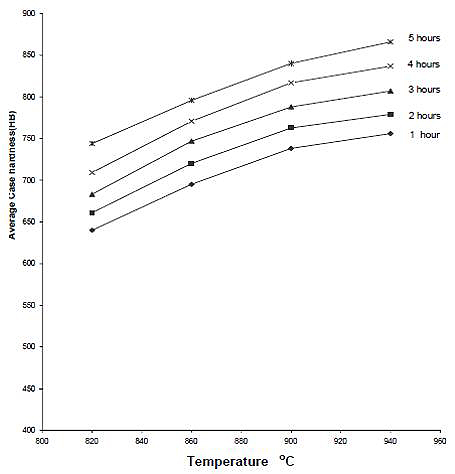 The specimens were carburized using different percentages of energizers (10, 20 and 30%) at different temperatures (820, 860, 900 and 940°C) for different times (from one to five hours). All the specimens were quenched from carburizing temperature, ground to polished surfaces and then etched for ten minutes in 25% Nital. The case depth was measured using the calibrated ocular of an inverted metallurgical microscope fixed at 100 x magnification. The hardness values of the C2R steel cases were measured with a micro hardness tester that uses diamond pyramid indenter. 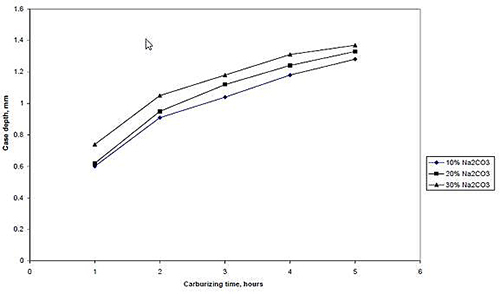 The results of the study showed that the average hardness of the C2R steel cases increased with temperature for any given carburizing time and temperature. For a given percentage energizer and temperature, the case depths and hardness increased with time. Increase in the percentage energizer however decreased the activation energy required for diffusion to occur exponentially. 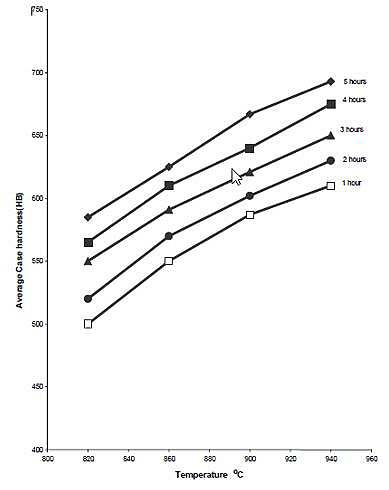 The effect of energizers proportion on case depth is showed in Figures 7 and 8. 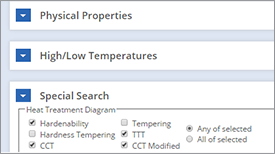 It can be seen that for any given carburizing time and temperature case depth increases as the percentage energizer increases. This is probably so because increase in energizer composition increases the nascent carbon on the surface of the steel. In other words, there would have been an increase in the carbon potential of the carburizer and consequently a higher diffusion rate of carbon into steel leading to an increased case depth as the percentage of the energizer (Na2CO3) increases. 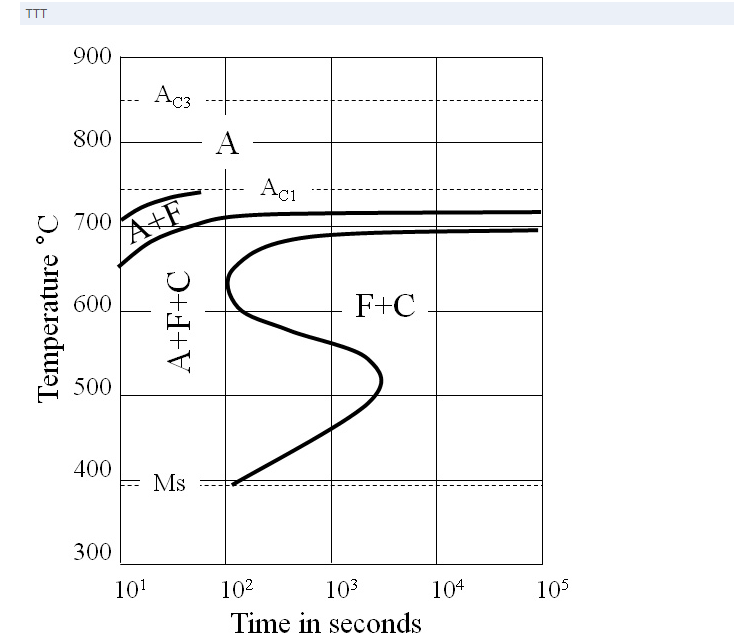 Figure 7: The relationship between case depth and proportion of energizer (Na2CO3) at carburizing temperature of 900°C. 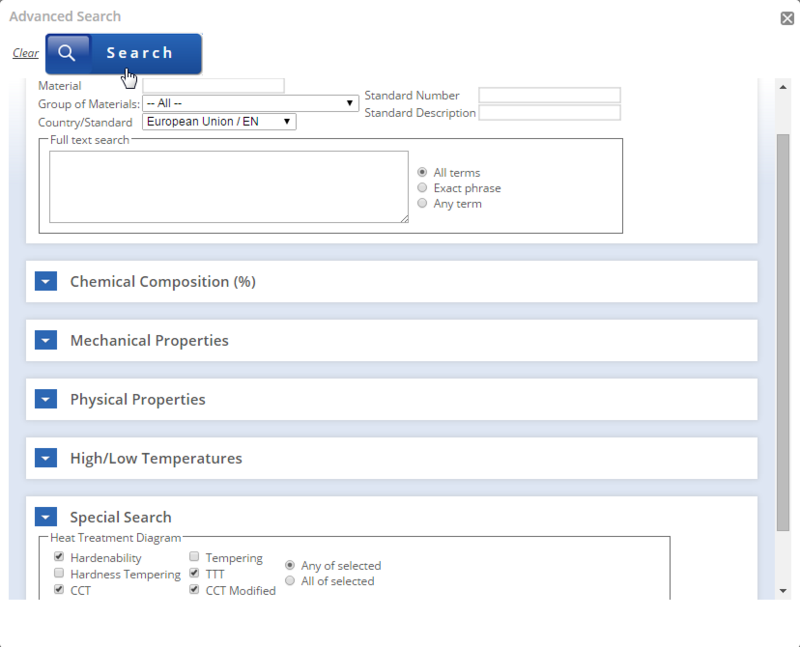 Figure 8: The relationship between case depth and proportion of energizer (Na2CO3) at carburizing temperature of 940°C. 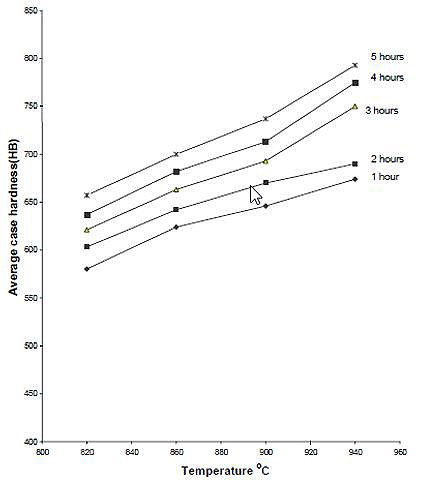 The effects of carburizing temperature and time on hardness of case are shown in Figures 9, 10 and 11. 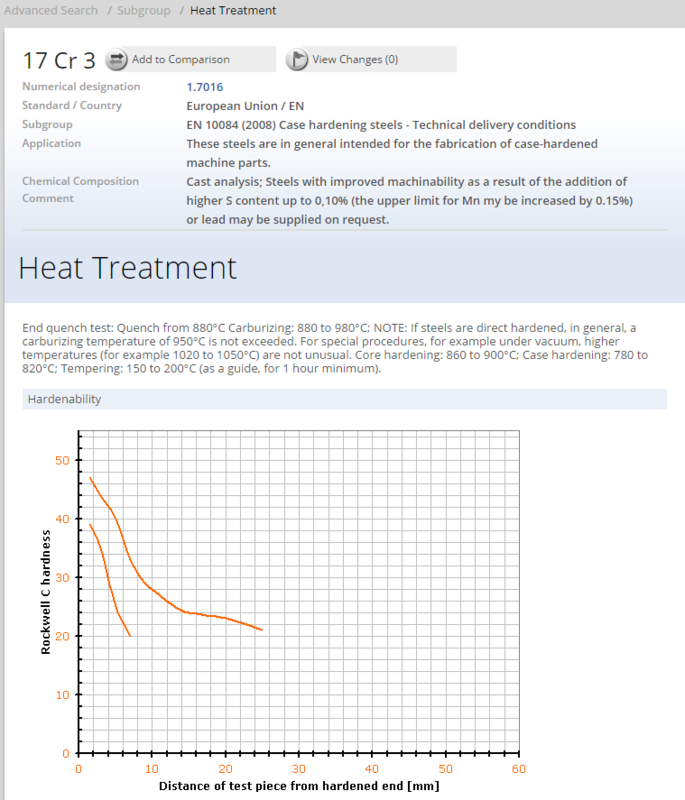 The average hardness of the case increases with temperature for any given carburizing time and percentage energizer. The explanation for this is that temperature increase diffusion rate, leading to a case of higher carbon content than a case developed at lower temperature. This leads to the formation of more martensite on quenching and hence increased hardness. The increase of solubility of carbon in austenite with temperature is another factor. 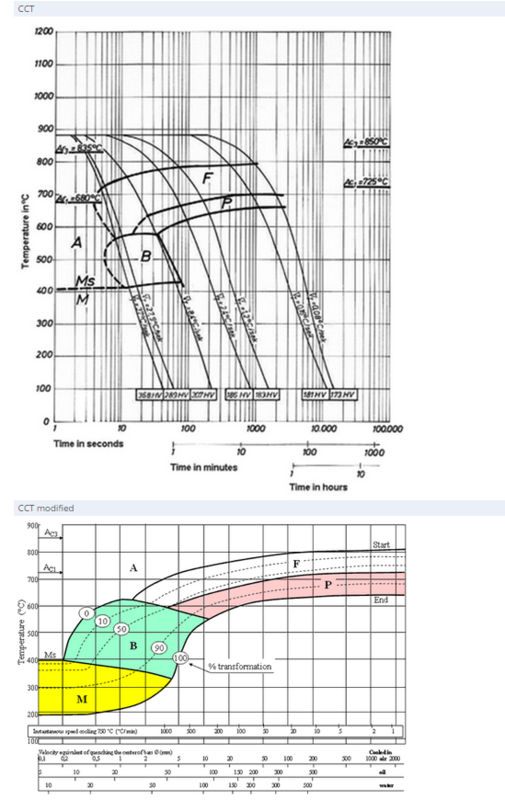 a) The case depth obtained increase with temperature, time and percentage energizer. 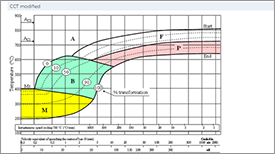 b) The case hardness increases with the percentage energizer and carburizing time for a given temperature. c) For a given temperature and percentage energizer, case depth and hardness increases with time. d) For a given percentage energizer and time increase, in temperature increase the case depth and hardness. e) For a given time and temperature, increase in percentage energizer increases the case depth and its hardness. f) Increase in the percentage of energizer decreases the activation energy for diffusion to occur exponentially. g) Increase in time decreases the activation energy for diffusion to occur exponentially. 2. P.O. Atanda, O.E. Olorunniwo, L.E. Umoru, A.D. Adeyeye: A Study of Processing Parameters on the Carburization of C2R Steels, Journal of Minerals & Materials Characterization & Engineering, Vol. 8, No.2, 2009, p. 79-92.